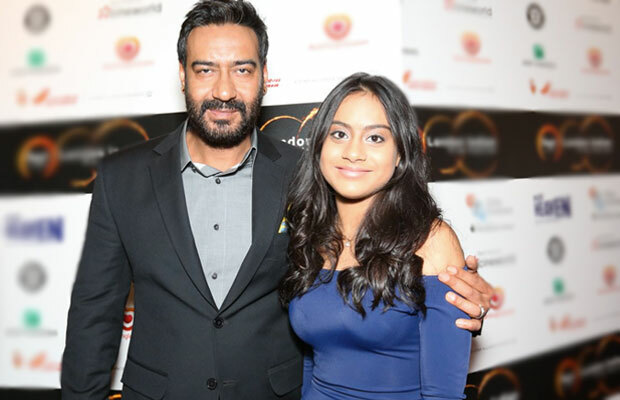 Did You Know Ajay Devgn’s Daughter Did NOT Speak To Him For One And Half Years- Here's Why! Did You Know Ajay Devgn’s Daughter Did NOT Speak To Him For One And Half Years- Here’s Why! Recently at a promotional event for Shivaay, during the media interaction Ajay Devgn who produced, directed and acted in the film confessed that his daughter was angry with him and didn’t speak to him for almost a year and half. CLICK NEXT TO KNOW THE REASON! The reason being the hectic schedule during the shooting of Shivaay which left Devgn with almost no time to spend with his daughter, Nysa Devgn who the actor is very close to. However, after seeing the trailer of Shivaay, she had a change of heart and she wasn’t angry anymore. According to a report, Ajay said. “Initially, she was really angry with me for over a year and a half because I was busy shooting for Shivaay and could not spend much time with her. But when she saw the trailers and the songs she told me, ‘Now I know why you were busy and I am extremely proud of you.’ That was possibly one of the best compliments for me for sure. Showing such great maturity at that age, so wonderful, isn’t it? This movie, which is Ajay Devgn’s dream project, is set to release this Diwali. Previous articleThe Real Reason Why Aishwarya Rai Bachchan Agreed To Do Ae Dil Hai Mushkil!